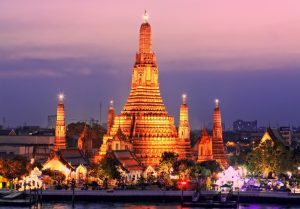 Conveniently located at the heart of Bangkok, Everyday Bangkok Hostel is an ideal hostel for those who want to explore the City of Angel. 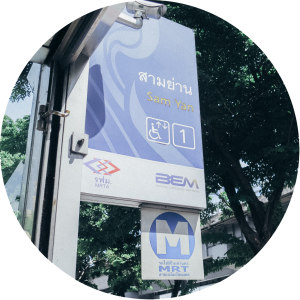 Everyday Bangkok Hostel is only 5 minutes away from Samyan MRT station. Only one station from Samyan MRT station is Saladaeng BTS station. 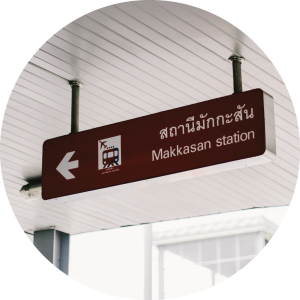 From Suvarnabhumi Airport, take Airport Link to Makkasan, and take the skywalk to Petchaburi MRT station.Continue to Samyan station. The journey takes about 45 minutes in total. 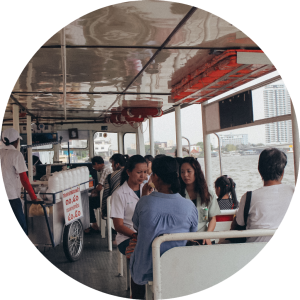 It only takes 30 minutes from the hostel to Si Phraya pier, or only 10 minutes on bus number 36. The hostel is only one station away from Hualumphong. 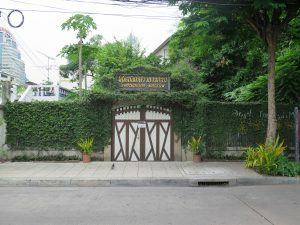 Everyday Bangkok Hostel is located on Sap Road, which is where Surawong Road and Si Phraya Road connect. 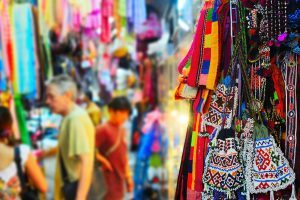 Si Phraya Road is an old road, flanked by old buildings and authentic shops selling handicrafts, many of which have been there for decades. Surawong Road is near Patpong area, where many Japanese restaurants are located, serving authentic Japanese flavors. Next to it is Soi Thaniya, which connects to Silom Road, the nightlife scene of Bangkok. Somboon Pochana, a famous restaurant serving crab curry, is only a stone’s throw away. The Russian Embassy is only three minutes’ walk away from the hostel. Located immediately at the Samyan station’s exit, Wat Hualumphong is a big temple built with beautiful marble. Visit this temple for good luck. On the left side of the temple is the Ruamkatanyu Foundation and a Chinese shrine where many people make a wish. You can also make a donation for the deceased who need coffins. 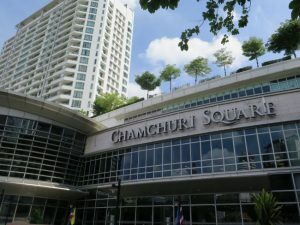 At exit number 2 of Samyan station, right across Wat Hualumphong, is Chamchuri Square, where many restaurants are located. For something more affordable, go down to the basement for the food court. You can get your travel essentials at Tesco Lotus Express supermarket. Samyan Market is located at Chulalongkorn Soi 9. It is a large fresh market which has more than four decades of history. It offers fresh food, seafood, and fruits. It is a great place to shop for delicious treats. 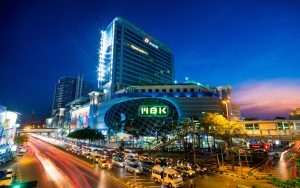 A popular shopping spot for tourists, MBK Center has many shops and restaurants. Adjacent to it is Tokyu Shopping Center. The third floor of MBK Center is where you can find domestic souvenirs. On the seventh floor, there is Magic Art Museum Bangkok. Direction: Take BTS to National Stadium station, or take bus number 36 from Si Phraya. It only takes about 10 minutes. The Jim Thompson House was formerly the house of James Harrison Wilson, the person who made Thai silk famous around the world. He is known as the king of Thai silk. Today, this house is managed by Jim Thompson Foundation. Here is where Southeast Asian arts and Buddha statues are on display. Direction: Take BTS to National Stadium station. 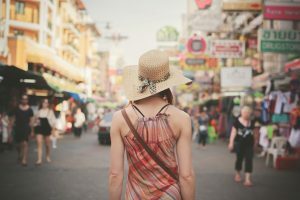 The shopping point for teenagers and tourists, Siam Square is surrounded by shopping malls such as Siam Discovery, Siam Center, Siam Paragon, and the recently opened Siam Square One, where there are many hip restaurants and dessert shops. Direction: Take BTS to Siam station. 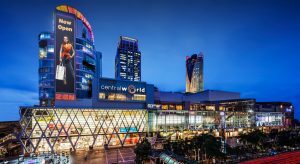 Central World is Asia’s second largest shopping center. 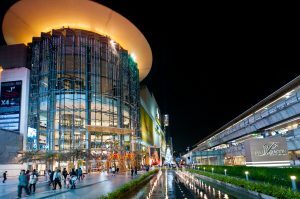 It is connected to two other malls – Zen and Isetan. Inside, there are hundreds of shops and restaurants. Direction: Take BTS to Siam or Chidlom station and continue on the Sky Walk. 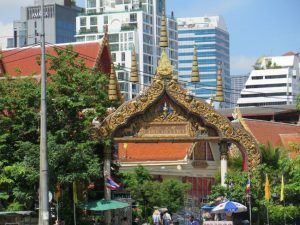 Erawan Shrine is a popular sacred place, built following Hindu belief. Brahma statue represents Brahma, the creator within the Hindu trinity of gods. It is believed that wishes can come true if you pay homage to the Brahma statue here. Direction: Take BTS to Siam station and continue on the Sky Walk heading towards Central World. 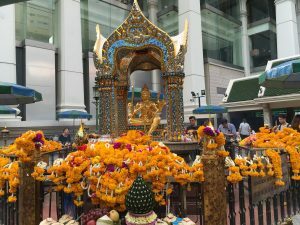 The Erawan Shrine is on the opposite side of InterContinental Hotel. Platinum is the best place to find inexpensive clothes, accessories, and shoes, both retail and wholesale. It is definitely a shopping paradise. Next to it is Pantip Plaza, an IT mall that offers everything you need regarding IT gadgets. 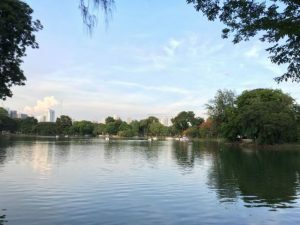 Bangkok’s first public park located at the heart of the city. Here is where the locals come to exercise and relax. Direction: Take MRT to Silom station and cross the flyover. 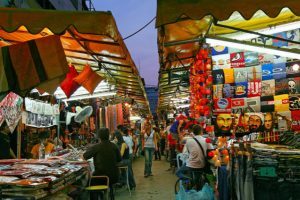 Silom is a business district full of offices and shops, but at night both sides of the road are transformed into a street market. It is a great place to shop for clothes and souvenirs. 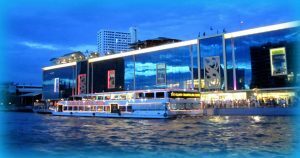 It is also one of the most vibrant nightlife scenes in Bangkok. Most clubs are open at 8pm until 2am. Direction: Silom is 25 minutes’ walk away from the hostel, or take MRT to Silom station. Patpong is Bangkok’s red light district, right next to Silom Road. In the past, it was a banana orchard, owned by the Japanese army during the World War II. In 1968, night clubs and entertainment spots were opened, earning it the status of one of the most recognized red light districts in the world. 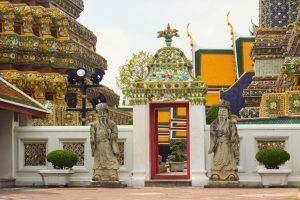 Wat Traimit Witthayaram is where a large golden Buddha statue is housed, and the temple is exquisite. Inside, there is a museum that tells the history of the Buddha statue and the Chinese community who settled in this area many decades ago. 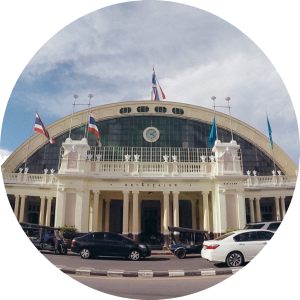 Direction: Take MRT to Hualamphong station and walk about five minutes. 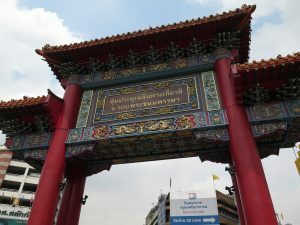 Chinese Thais in this area built this arch to celebrate His Majesty’s 72nd birthday anniversary. Although it is relatively new, the arch has become a new landmark of China Town where visitors like to take pictures. Yaowarat Road is where Chinese Thais have lived for a long time. It is also known as the Golden Road, as it is full of gold shops. There are also many shops selling pork products and street-side restaurants selling seafood and Chinese food, attracting a lot of people to this area every night. 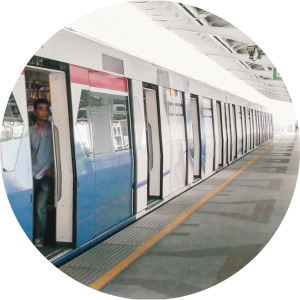 Direction: Take MRT to Hualamphong station and walk about 10 minutes. 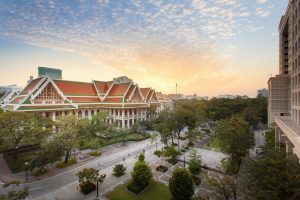 This museum tells the stories about the lifestyle of middle-class Thais before and during the World War II. Direction: A 25 minutes’ walk or 10 minutes’ taxi ride from the hostel. The pier welcomes visitors who come to enjoy the river cruises and dinner. Direction: A 30 minutes’ walk or 10 minutes’ ride on bus number 36. If you want to go to tourist destinations such as Rattanokosin, you can take the speed boat from here and enjoy the scenery along the river. 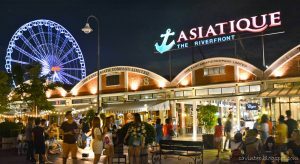 Asiatique the Riverfront is a “Festival Market and Living Museum”, the largest riverside shopping complex in Asia. Here is where you can find souvenirs, home décor items, and clothes, as well as enjoy the puppet show at Jo Louis Theatre or the performance at Calypso. 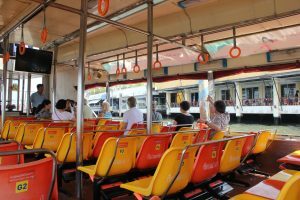 Direction: From River City Pier, take the boat to Sathorn Pier and connect to Asiatique on ferry, or take BTS to Saphan Taksin station and take the shuttle boat to Asiatique. 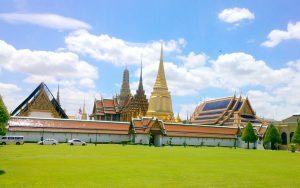 If you want to explore the historical side of Bangkok, visit Rattanakosin, where the Grand Palace and many royal temples are located. It is accessible by boat. Jatujak Market is one of the biggest shopping areas of Bangkok, known among foreigners as JJ Market. It has been in business for over 60 years. Or Tor Kor Market is a model fresh market, known among Thais and foreigners as a high quality fresh market selling clean and safe food, as well as delicious treats from around the country.